Innodisk, a Taiwanese producer of flash storage devices, is announcing the launch of its 3ME3 series of DRAM-less SSDs for enterprise, embedded and industrial usage. The 3ME3 series of SSDs utilize custom firmware paired with synchronous NAND to deliver robust real world performance in random and sequential I/O. The absence of DRAM in the design of the 3ME3 series means 100% data integrity in the event of power loss. Produced in multiple form factors, including M.2, mSATA, cFAST, SATADOM and SATA slim, the 3ME3 series of SSDs can be utilized in a wide variety of applications. In addition to preventing data loss, the DRAM-less design allows for producing smaller SSDs. 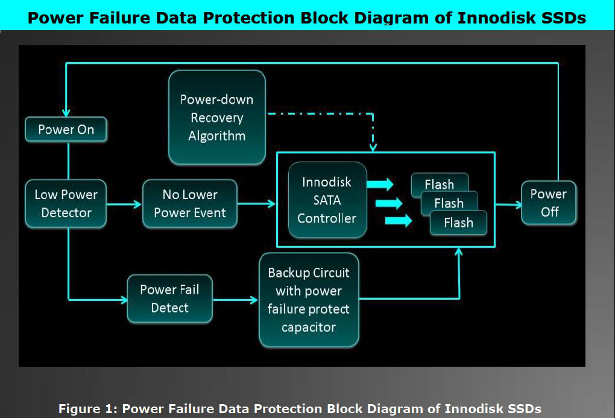 Eliminating a volatile memory buffer is easily offset by the use of Innodisk’s iDataGuard technology. The DRAM-less design enables packing a highly reliable and high-performing SSD into a variety of small form factors. 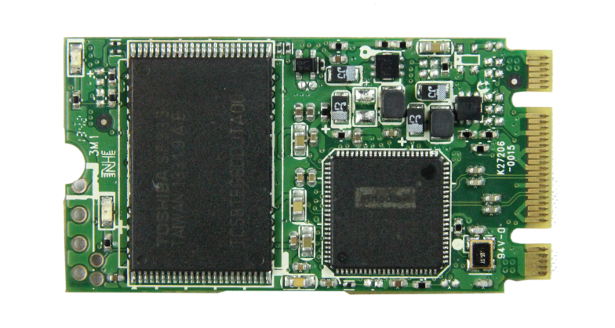 Innodisk utilizes synchronous NAND flash controlled by a new generation of custom firmware to attain high reliability and high performance. The 3ME3 series of SSDs are able to attain random 4K read speeds of (up to) 10,000 IOPS and random 4K write speeds of (up to) 20,000 IOPS. Moving from block-based to page-based wear-leveling algorithms allows for fine-grained wear-leveling and write optimization. This new firmware also enhances service life with significantly reduced write amplification; as low as a WAF of 3.67 utilizing a JESD218 randomized enterprise workload. The 3ME3 series of SSDs are industrial-strength, with an operating temperature range of -40 to 85 degrees Celsius. 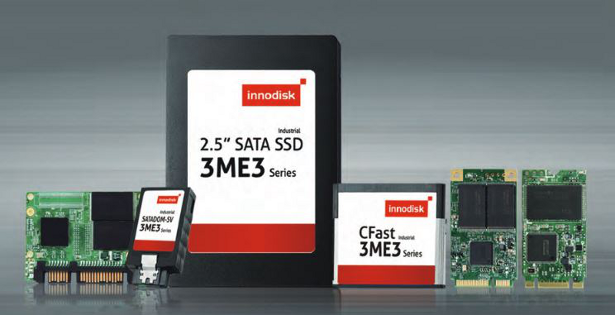 Innodisk anticipates Q3 2015 availability of the 3ME3 series of DRAM-less SSDs from Innodisk distributors. Available form factors will be M.2(NGFF), mSATA, cFAST, SATADOM (disk-on-module) and SATA Slim (MO-297), in capacities up to 256GB. You can view the Innodisk press release announcing the 3ME3 series of DRAM-less SSDs in its entirety here.